Popped into Michael's for some snail. Also grabbed this cute washi tape tube (Llamas!!!) and some glue dots. 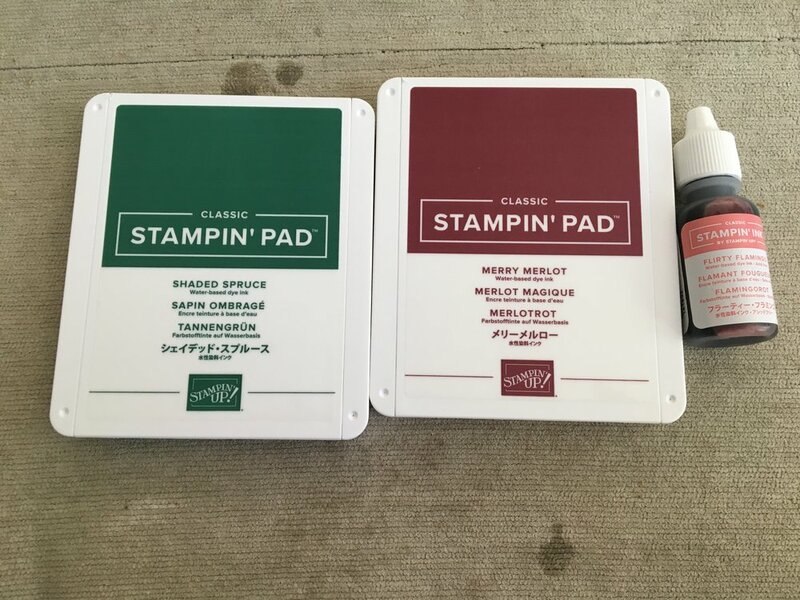 Addition to my last Stampin' Up! order. I think Shaded Spruce and Merry Merlot are going to be perfect for Christmas cards. And I threw in a Flirty Flamingo ink refill. My pad is getting a bit dry. Lastly I got my Planner Addict Box and add-on items. Love the box full of summer fun, but really in love with the coral reef papers and washi tape. 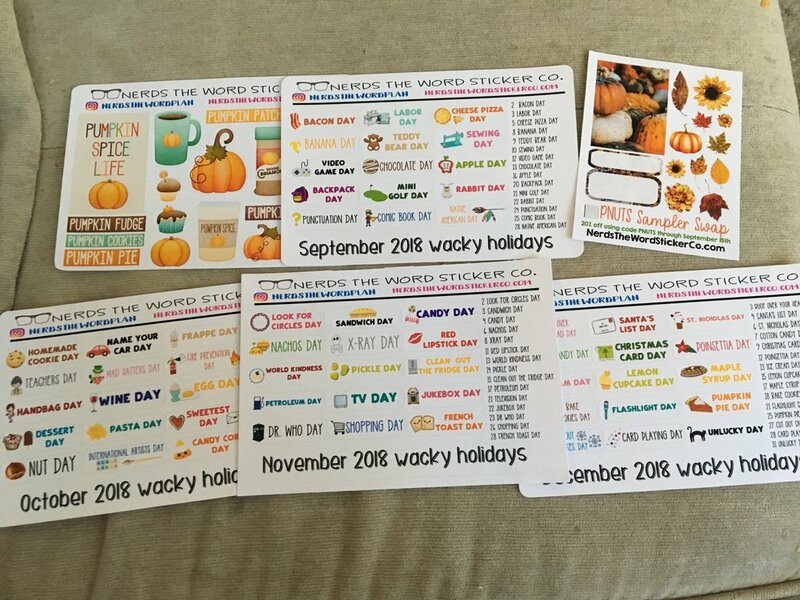 I grabbed some cute planner stickers from Nerds the Word. Love these Wacky Holidays sheets!